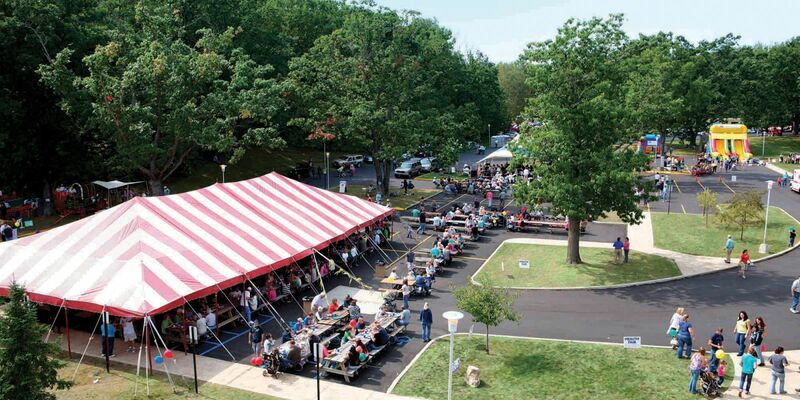 Mid Michigan Community College’s 23rd Annual BBQ and Fall Festival is set for Sept. 20 with a full program of family fun and a special 50th anniversary give-away. The event, sponsored by Family Fare Supermarkets, is a fundraiser that directly supports scholarships for MMCC students. The festival will be held from noon to 4 p.m. at the college’s Harrison Campus. In celebration of MMCC’s 50th anniversary, the college will give away 50 credit hours of paid tuition to the grand prize winner of this year’s raffle drawing. These credits are transferable and can be used any time within the next ten years. Each 2015 BBQ ticket stub provides an entry into the raffle drawing, which includes a number of outstanding prizes in addition to the grand prize. Winners do not need to be present at the festival to claim their prizes. As part of the event, running enthusiasts can participate in three Timber Trail races. The Half Marathon will start at 8 a.m., followed by a 10K race at 9 a.m., and the annual 5K Run/Walk at 10 a.m. For information about any of the trail runs, contact Tiffani Lewis at (989) 386-6651 or visit midmich.edu/bbq. Good food and family activities will be underway from noon until 4 p.m., compliments of Family Fare Supermarkets, which donates all of the day’s food. Event tickets provide attendees a pork BBQ meal, complete with baked beans, corn on the cob and desserts. More than 2,200 meals are typically served at the event.. The Harrison campus will transform into a festival atmosphere with fun children’s games and inflatables, fishing in a trout pond, homemade ice cream, cotton candy, popcorn, and live onstage entertainment from groups like the Central Area Concert Band. As part of the day’s festivities, MMCC will host a car, truck and motorcycle show, filling the front lawn with classic vehicles. Additionally, Imperial Wrestling Entertainment will join the festival for the second year. Plan to enjoy this family-friendly, choreographed wrestling action. This community event raises more than $20,000 for scholarships each year. Tickets cost $5 in advance and $7 on the day of the event. Early ticket sales are available this year online. Don’t miss an opportunity to win 50 credit hours of tuition or one of the many other prizes being given away. For more information, contact Carol Darlington at (989) 386-6625 or visit midmich.edu/bbq for event registrations and online tickets.